"Very helpful in giving sound advice, will use again." We all know how stressful it can be when one of your appliances suddenly breaks down. 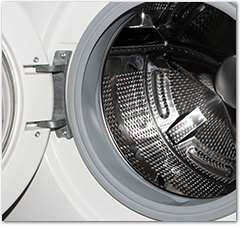 Count on F Morris Appliance Repairs in Wisbech, Cambridgeshire, for dishwasher repairs. Should you call me before 10:00 a.m., I will endeavour to see to your repair the same day. Same or following-day service is what I strive to deliver. 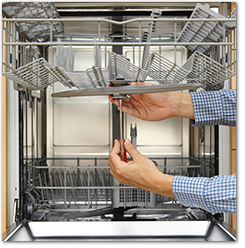 Contact F Morris Appliance Repair for reliable dishwasher repairs and parts; also providing reliable dishwasher servicing to keep your dishwasher working efficiently and correctly. Contact me for fast and efficient dishwasher repairs.